Veery became a licensed realtor in 2003 and hit the ground running. Her clients immediately recognized her aptitude for finding the best property in the right location, coupled with the temperament to advocate and persevere even during fraught moments in a transaction. Importantly, clients came to rely on Veery’s keen eye for value. She recognized a good opportunity when it hit the market, immediately seeing potential on which a buyer could capitalize. Over the next decade Veery honed her skills and built a robust client base. She rode the wave of the boom years and weathered the hardships of the recession. She’s seen the market at its best and worst, and still loves what she does. Today, Portland’s exploding growth and low inventory makes it one of the most competitive real estate markets in the country. For buyers, selecting the right home is just the first step; the real challenge is to outshine the competition. Veery’s experience and persistence are a strategic advantage for buyers, as she structures every offer to rise to the top. When selling a home, factoring in market psychology means a quick, successful sale instead of listing an over-priced home that lingers on market and necessitates a price reduction—which even in this selling climate happens every day. An intuitive listener with a gregarious nature, Veery quickly catches on to what her clients need and desire. Accessing her deep knowledge of homes and neighborhoods, she’s able to determine where they are likely to discover their next Living Room. 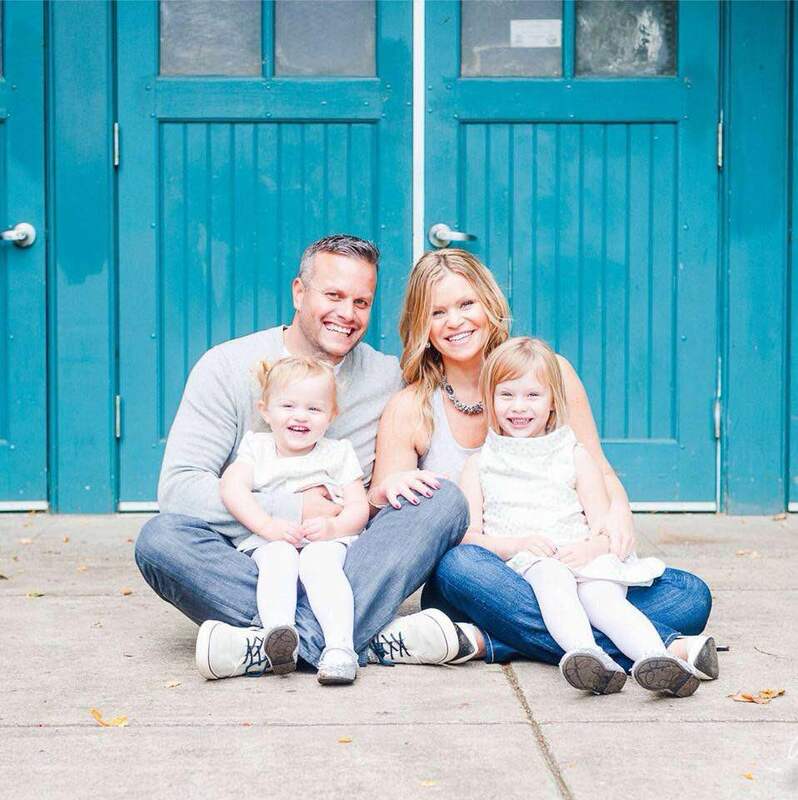 Besides devoting time and attention to the buyers and sellers she serves, Veery shares her life with her husband Chris and their two daughters, Sawyer and Evens. She’s a PTA mom active in the schools. She’s also an engaged volunteer who’s attentive to Portland’s evolving, vibrant communities, realizing her clients are impacted by the changes she and her family must navigate every day. Veery’s personal and professional life are intertwined by design. She relies solely on referrals from family, friends and clients to build her business. Cultivating her practice for more than 16 years, Veery is thankful for the expanding network of close relationships and trusted associates with whom she works each day. We were first time home buyers and we had planned to get all our ducks in a row before looking for a house. Well, we didn’t :), and found our dream home. Veery, very quickly connected us with an incredible mortgage broker who made magic happen, helped us craft an offer based on market knowledge that got us the house, and guided us through the inspection process. We did not expect just how emotional this whole experience could be, but she did, and she was there supporting us through every step. Veery helped us secure the perfect home for our family and we are so grateful for her help. Without a doubt, Veery is one of the best!. Without doubt, Veery is one of the best! We couldn't have chosen a better realtor to help us! Veery is super knowledgeable about Portland neighborhoods, she always listened carefully to our descriptions of what we were looking for, and she quickly understood the intangible (and difficult to describe) aesthetic we wanted. She was patient and persistent, filtering through hundreds if not thousands of listings, previewing scores of houses, and quickly arranging showings on houses that were "possibles." One of the qualities that really stands out is that Veery is more concerned about us finding "the house" that suits us, not just getting a sale - she always gave honest feedback. And, when we found the house, she gave us great guidance based on her seasoned experience! Could not be happier! We are so thankful to have worked with Veery. We are so thankful to have worked with Veery! As first time home buyers, we really appreciated that she made the process more approachable, easy to understand, and more fun than we had anticipated. Her knowledge of the market and industry was helpful and reassuring, and she was always available to answer our questions. Five stars from us!